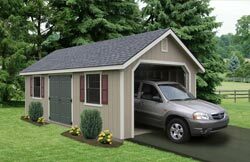 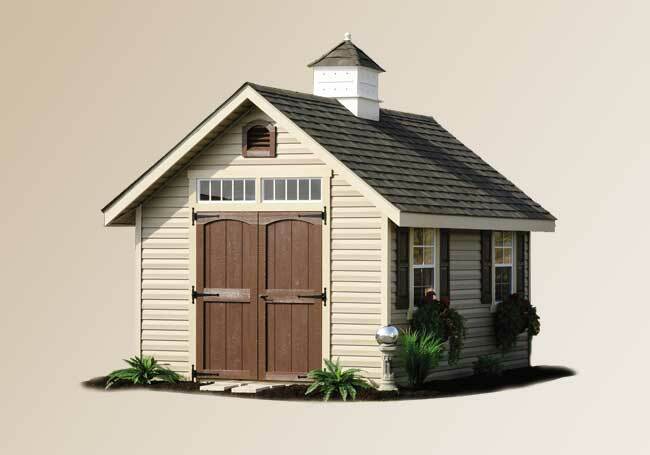 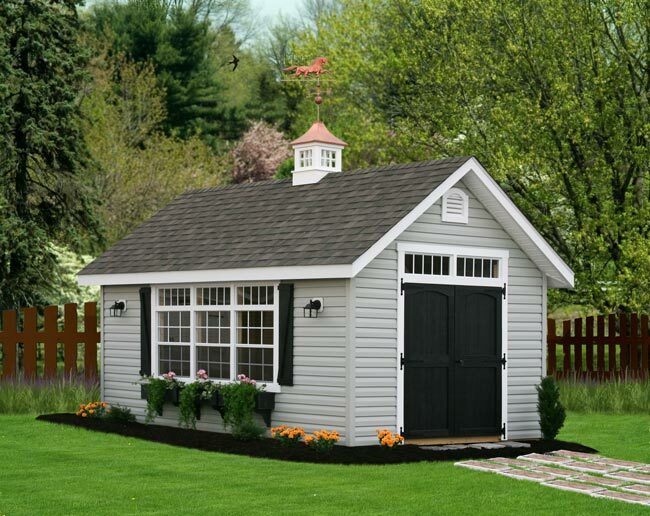 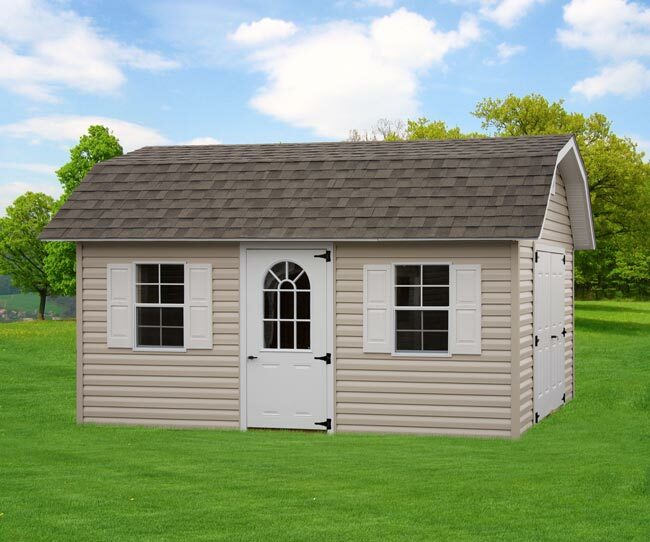 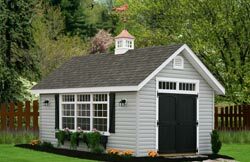 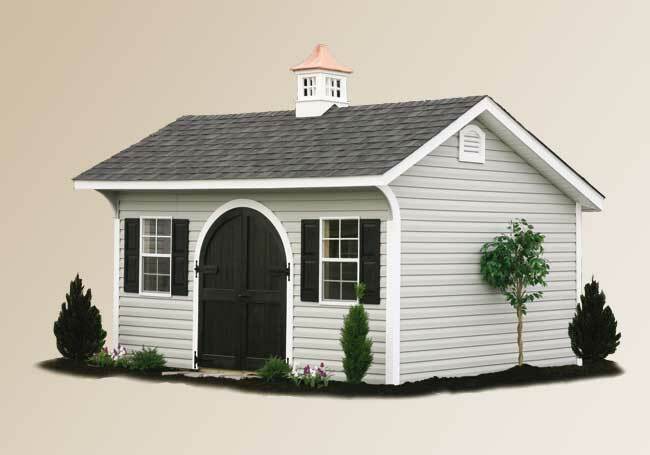 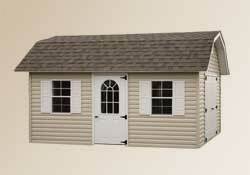 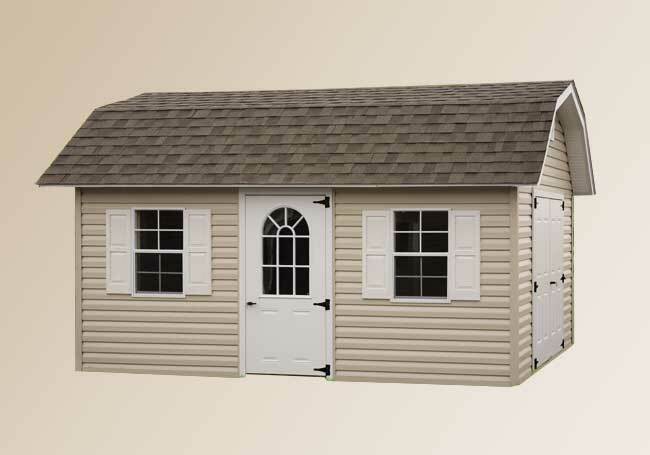 The classic shed catches the eye with its statues’ appearance. 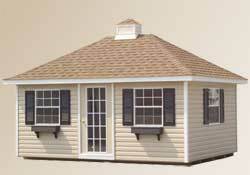 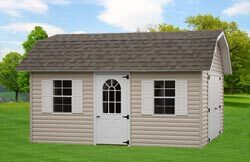 What makes them stand out above the rest is the pitch of the roof and the 8” eve all around the unit. 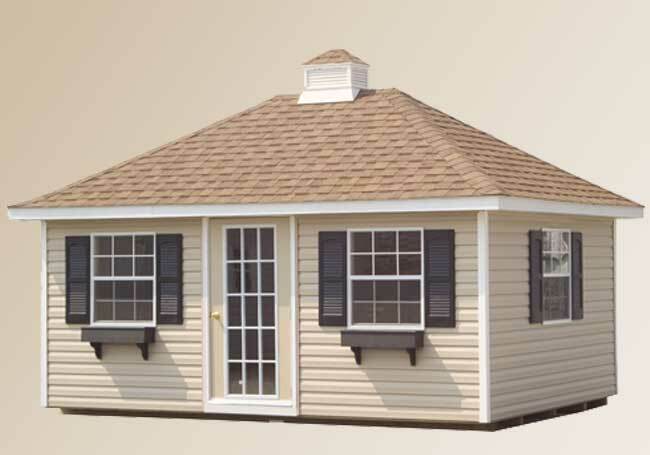 The detail attention given to the construction and to the finishing touches of the unit makes it truly a classic. 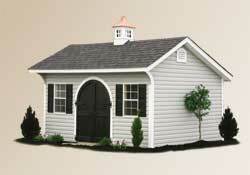 All are available in other exterior finishes, sizes & colors. 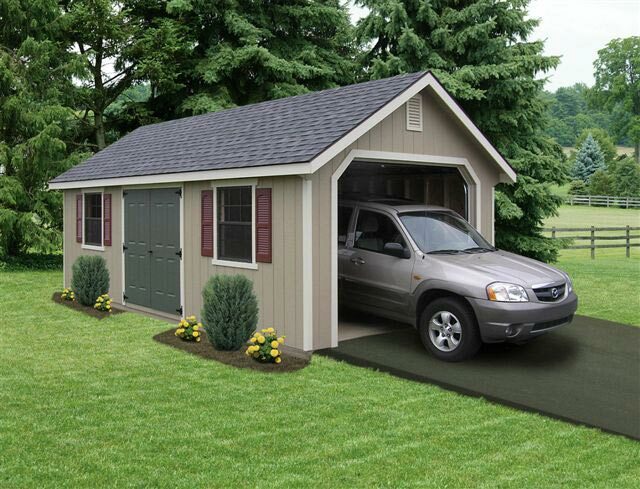 Customer chooses door & window placement.